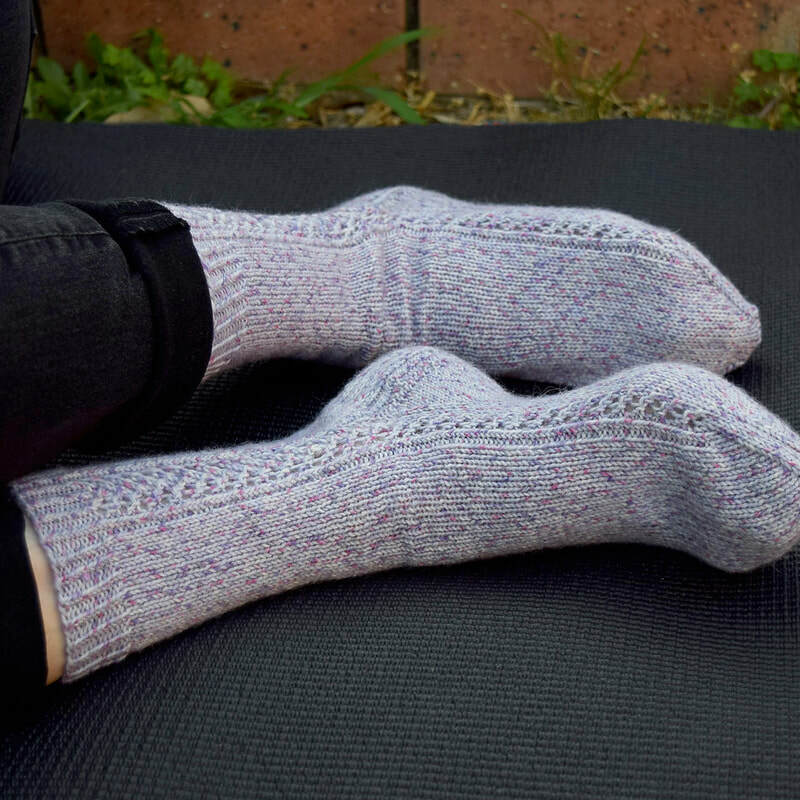 Inspired by the comfort of timeless plain socks combined with the elegance of lace. 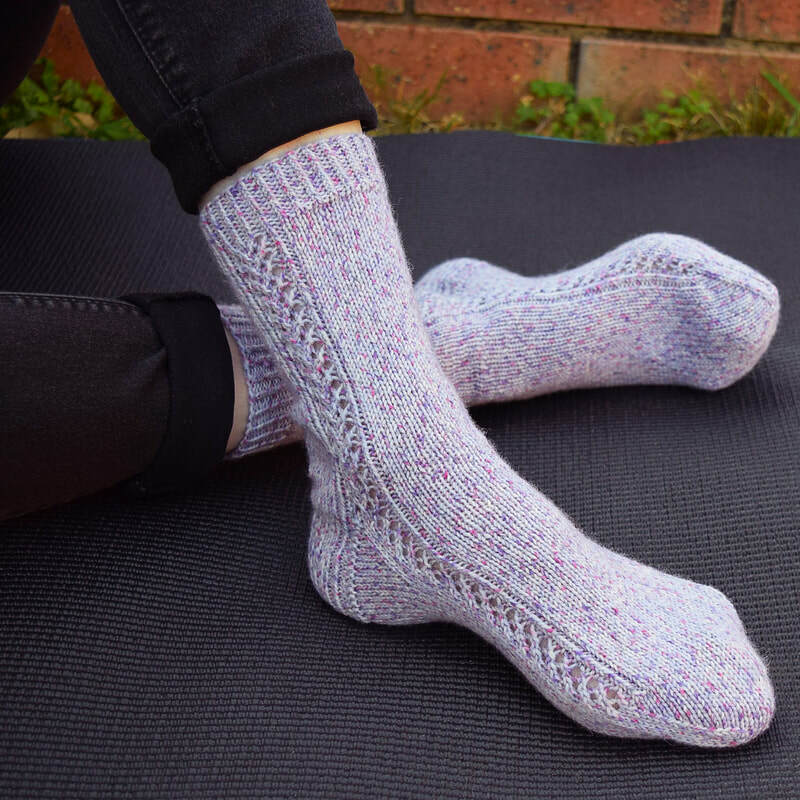 Knit in the round and cuff down, these charmingly feminine socks begin with a twisted rib cuff that flows into an intuitive lace panel which gracefully becomes an attractive variation down the instep. ​The pattern is provided with both written instructions and charts.